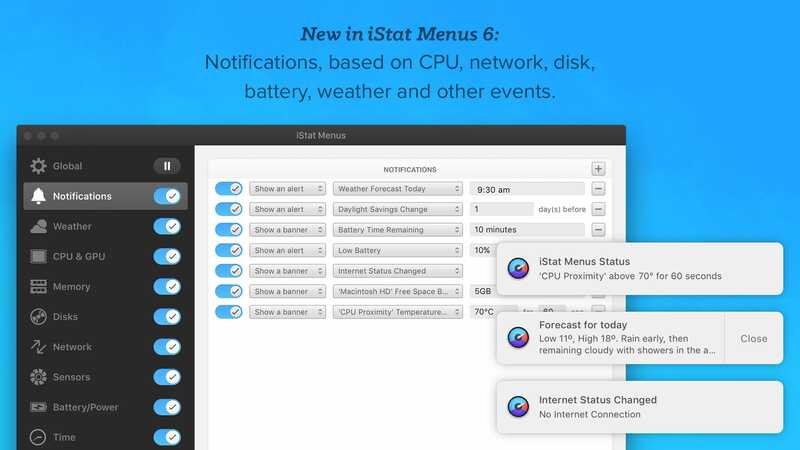 iStat Menus lets you monitor your system right from the menubar. 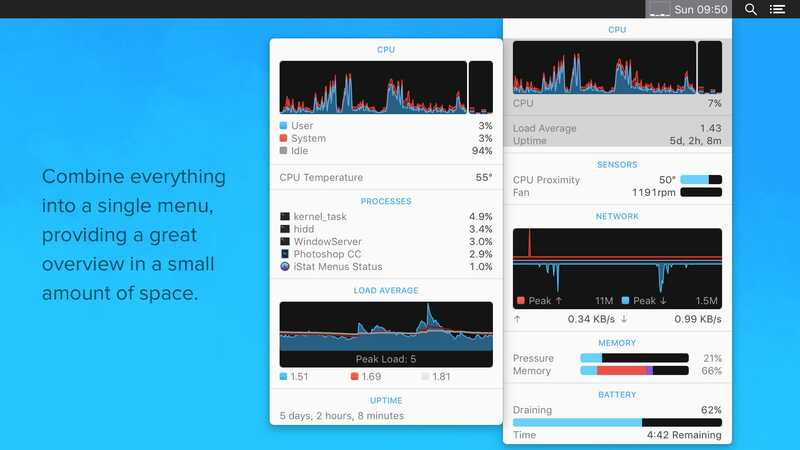 Included are 8 menu extras that let you monitor every aspect of your system. 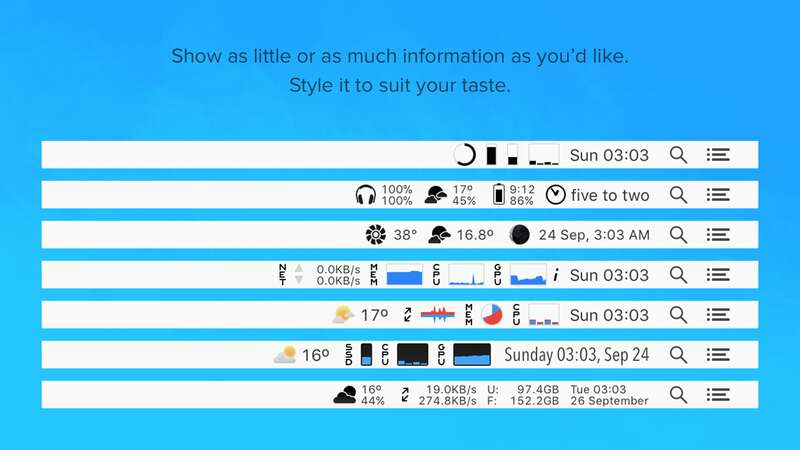 iStat Menus 6 sports a completely new design — new menubar icons, new dropdown menus, and the app and icon itself have all been redesigned to be cleaner, clearer and more at home on Yosemite. Menubar graphs can now use dark backgrounds, improving legibility.